If you want to feel better about yourself, stronger, fitter and more energised Classical Hatha Yoga for Absolute Beginners is the perfect class for you. Week upon week, you will build your cardio-vascular health, sculpt your body, build strength, and experience a new level of balance and flexibility whilst having fun. Week upon week, there is plenty of time for you to get to grips with the yoga basics, hands on help to learn the right yoga alignment for you, giving you that blissed yoga feeling from your very first session, which will take you right through the weekend. Perhaps you have tried yoga in different places and feel quite familiar with some of the aspects of yoga, or have attended our Absolute Beginners Course before. If so, this levels is the ideal stepping stone to give you deeper awareness and scope to develop your yoga practice. The perfect follow through course for Beginners. Week upon week, you will build your cardio-vascular health, sculpt your body, build strength, and experience a new level of balance and flexibility whilst having fun. Week upon week, there is plenty of time for you to get to grips with the yoga basics, hands on help to learn the right yoga alignment for you, giving you that blissed yoga feeling from your very first session. Yoga has been a presence in Maxie’s life for almost 20 years. She began in her late teens as a form of exercise. Sometimes she veered away from her practice, but importantly, always returned. And with each return, came the realisation that the practice of yoga could spark a real joy in her life. Yoga allows her to release the everyday stresses of life in a vibrant, healthy way and to live an authentic and vivid life. Last year Maxie completed a 200 hour teacher training and is thrilled to now be able to share the incredible gifts of yoga with her community. Expect to feel super comfortable in her classes, and to leave feeling strong, relaxed and happy. Begin your day with a dynamic connection of breath, body and movement. A little sweat, a lot of fun, friendly vibes and a chance to be guided beyond your limits. This is the perfect class for All Levels who want to leave feeling strong, balanced, energised and ready for their day. More information coming on this workshop soon! More information coming on Alice’s workshop soon! My initial teacher training was in 2003, and the more I learnt I realised how little I knew. This lead to me also completing the BWY (British Wheel of Yoga) 500 hour Diploma in 2007 and Claire Missingham’s 200 hour Vinyasa Flow Teacher Training in 2009. More info. This is the perfect immersion for yoga teachers and yoga enthusiasts alike who wish to deepen their knowledge, technique and understanding of yoga. During this 4 day teacher training intensive you will explore the practice of Yin Yoga, through experience, understanding of the history and the concepts of Yin Yoga. You will learn how to effectively teach this subtle but powerful style of Yoga, leaving you with a deeper understanding of this practice and it’s theory so that you can bring it into your own self practice and into teaching students if you are a teacher. This Yin Yoga Intensive is for yoga teachers and experienced yoga students alike, and should you wish to chat more please don’t hesitate to contact Anthea directly on 07809699568. Early booking fee is £445, increasing to £495 from 21st March. This workshop is directed towards arm balance fledglings who are ready to leave the nest. We ll begin with a mixed level, vigorous, and fun vinyasa class emphasising the key actions of common arm balances including core, balance, and breath. We will then break down and explore in finer details techniques to get into postures such as bakasana (crow), parsva bakasana (side crow), Astavakrasana (eight angle pose) and baby dragonfly. 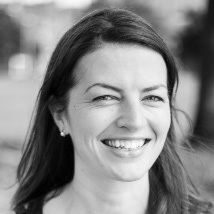 Tamara’s love of Yoga began in 2013 in Sydney. After 3 years of Practice, Yoga lead her on a journey to Rishikesh, India where she attained a 200 hrs certificate in Hatha. Currently undergoing a further 200-hour certificate with the renowned Kaivalyadham institute, grounded in the yogic teachings of Swami kuvalayananda. 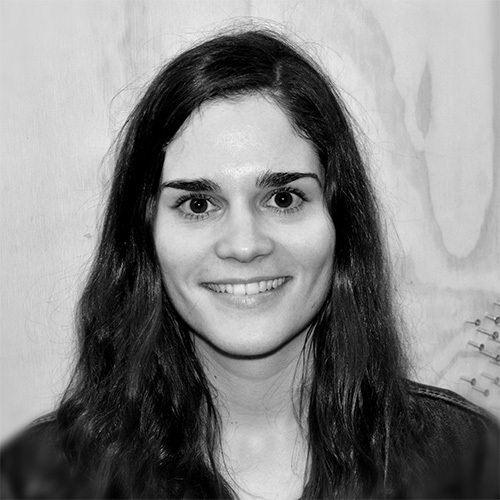 She believes deeply in taking an immersive approach to all the traditional philosophies and wants to share this in a supportive, warm and friendly environment. The perfect class for those with an experienced yoga practice, and who are ready to link key yoga postures together with breath and vinyasa. You will further develop greater connection, strength and flexibility to your body, and week upon week delve deeper into the more subtle aspects of core strength, energy, bandhas, backward bending and more challenging postures to increase your vitality, energy and well-being further. Our All Levels Classes are for students that have a general understanding of yoga, either within YogaHealing or from other places of study. Classical Hatha Yoga postures are practiced with adaptions shown so that you can find the right level for you within the class. Expect to be challenged within your own level and to explore your yoga practice. Expect to be challenged as you flow through a fun, dynamic yoga practice. Your practice will cultivate the connection of Breath, Bandha, Posture and Vinyasa together, with longer holds at times, and quicker flows at times. More intermediate postures will be tutored which may include, headstands, arm balances, full back bending and twists, depending upon the structure of the class. This is a fundamental step in the progress of your practice, where flow in your practice will be introduced with Bandha to develop your focus, flexibility and strength. Ujayi Breathing and Kapalbhati will be learned as well as other breathing and relaxation techniques as well as developing beginners inversion poses. Our speciality Beginners Courses run over a six week block and take the Absolute Beginner to the next level. You will build upon foundation yoga poses, become fully experienced within The Yoga Breath and foundation poses, and build greater focus, strength, flexibility and energy levels week upon weekor Level 1 Block. These classes are for our whole community, and offer deeply connective and therapeutic benefits for our yoga newbie through to our experienced yogi. These classes are ideal for our senior students, or at times when you are not feeling your best, or you are dealing with an injury, particularly in wrists, shoulders hips or knees. Created for the Absolute Beginner to give you a strong and confident start. Week upon week, there will be plenty of time for you to get to grips with the yoga basics, hands on help to learn the right yoga alignment for you, giving you that blissed yoga feeling from your very first session. Our Absolute Beginners Courses are recommended to repeat a couple of times and this particular course may evolve to a Beginners Course so that you continue with your class or you may progress quicker into one of our already established Beginners Courses. If you want to feel better about yourself, stronger, fitter and more energised Classical Hatha Yoga for Beginners is the perfect class for you. Week upon week, you will build your cardio-vascular health, sculpt your body, build strength, and experience a new level of balance and flexibility whilst having fun. Week upon week, there is plenty of time for you to get to grips with the yoga basics, hands on help to learn the right yoga alignment for you, giving you that blissed yoga feeling from your very first session. Our Beginners Blocks are recommended to repeat a number of times, as guided by your teacher, before moving up into our Level 1 block. Suitable for students who have completed a few of our 6 week beginners courses, this class includes warming the muscles and joints, breath awareness and pranayama practise and flowing sequences of postures to build strength, stamina and flexibility whilst maintaining focus on alignment and co-ordination of movement and breath. Finishing with seated, grounded postures and relaxation for a balanced and rounded yoga practice. Make your practice blossom with spiralling energy of Early Summer. Learn some of the Deep Secrets of Yoga! Working with bandhas (energetic locks) to feel lighter and stronger, regulate the hormonal systems, and live younger for longer! Yoga Flow focusing on binding and heart opening postures, connecting inwards to ignite the Fires of Summer and build the confidence to stretch outwards! If you have trouble sleeping, anxiety, depression, stress, or just want to get the most out of your life – this workshop is for you. We will work with the mind, body and breath to break away from negative thought patterns and cultivate the positive. We can train our minds like we train our bodies, and build up our positive thinking muscles! Spring into the rising energy of Spring! Develop the Wood Element characteristics of Firmness and Flexibility in our yoga practice and our daily lives. Detoxifying Side stretches and Twists – a Spring Clean for our bodies and souls! Eye Yoga & Candle Gazing to focus and cleanse our eyes and minds before our final relaxation. The Chakras – What are they? Where are they? How do I work with them? This workshop will explain the Chakra system, looking at the characteristics of each of the seven major Chakras and how to work with them. We will use different techniques like yoga postures, breathing exercises, colour and sound to connect to the chakras, so you can find a way that works for you. Exploring the physical, mental, energetic, emotional and spiritual aspects of each chakra in a down-to earth, accessible and practical way, helping to take your yoga practice to deeper and subtler levels, enrich your life and even assist your spiritual evolution! Here’s a quote from one of the people who attended this workshop previously: “I very much enjoyed Anna’s Chakras workshop. I have worked with chakras before, but until now had found them somewhat vague and my knowledge of them rather scattered. This workshop really brought them alive for me, both metaphorically, and dare I say, literally! Anna aligned different traditions and theories together, from Vedic thought and Chinese Traditional Medicine to the Endocrine system in a very accessible, enlightening and humorous way. Through a mixture of appropriate asanas, breathing exercises and sound meditations, the theoretical knowledge was bolstered and deepened through actual experience.I left feeling inspired to learn more and that my Reiki practise had been hugely enriched by the workshop. Highly recommended!” Nadine, Glasgow. Commencing in Yoga Nidra to prepare your mind and body for the immersion and deeply relaxing sounds of Tibetan singing bowls, shamanic drumming, gongs and healing voice to bring you into a deep meditative state. The ultimate in relaxation. Cleanse, heal and balance your body and mind, with restful and therapeutic restorative yoga, followed by a meditation to awaken and balance the energy centres of your body. This workshop is for Mum-to-Be and her Birth Companion(s) to help you all feel positive about birth and confident in your abilities in the birthing room. You will explore useful and practical ‘tools’, and learn how your birth partner(s) can use these to fully support you. This class Informs you of your own intuition and empowers your companion(s), so that everyone feels knowledgeable, confident and calm about welcoming baby earth-side. The workshop is open to all. Mums are welcome to bring a male or female partner, sister, mother, friend or other companion and this Workshop is kept to a maximum of six couples. The workshop has a relaxed and comfortable atmosphere, with a flexible structure to ensure there is plenty of opportunity for questions and discussion. Here is some of the aspects we will discuss on the day: The hormones in birth and how they play a vital role The birth environment, setting the scene for the journey (stages) of birth Active birth positions Natural pain relieving methods and comforting techniques, including: touch, movement, massage, grounding and acupressure (Using simple equipment available to all) Breathing techniques and deep relaxation Music and use of sound and it’s value during labour Hypnobirthing and methods for releasing fears Aromatherapy for your journey and birthing room Your birth preparation plan, preferences and wishes Positive birth stories and stories The cost for the Workshop is £80 which is for yourself and one birthing companion, however you can bring additional companions for £15 per additional companion. Please let us know via email if you would like us to enrol a 3rd or 4th companion and we can make changes to your booking accordingly. Sophie’s workshop will include teas and drinks, and there will be lunch break in the middle of the day where you will be welcomed to bring lunch along with you or go out to one of the local cafes in the area if you would prefer. 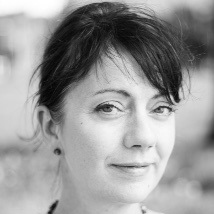 Morag Wylie is a Certified Transformational Breath® Facilitator, Laughter Yoga Teacher and Sound Healer. She was severely affected by ME/CFS for many years but now has a new zest for life thanks to practising what she teaches. She loves facilitating deep transformation in people and empowering people to live happier and healthier lives. Immersing in the quiet power of New Moon, students will be led through a meditative early evening yin practice to connect to their inner voice and guidance before setting their internal new moon affirmation. Students will experience the profound benefit of Yin, and this deeply restful and transformational practice. This is an all-level yoga class that progressively links postures through breath and movement. This class combines anatomical precision, heart-felt philosophy, a little sweat and a lot of warmth. Expect to be nicely challenged and then unfurl in a deep savasana. A gentle, relaxing class where we slow down and take time to tune into our body. Yin postures are held for a longer time and work on a deeper level, strengthening the joints, improving flexibility and releasing blockages of energy held in the myofascial tissues and meridians. Restorative poses and relaxation are included to destress and rebalance body and mind. Our Absolute Beginners Yoga Course is the perfect for you. Week upon week, you will build your cardio-vascular health, sculpt your body, build strength, and experience a new level of balance and flexibility. Within this Course there is plenty of time for you to get to grips with the yoga basics, hands on help to learn the right yoga alignment for you, giving you that blissed yoga feeling from your very first session. Wake up every muscle of your body and clear your mind through a balanced selection of Classical Hatha Yoga postures. Adapted flowing sequences of standing sequences, sun salutations, seated postures and full relaxation to reduce the stresses and tiredness of the day. A nurturing pre-natal Hatha Yoga class & birth Workshop, especially designed for mummy & bump & adapted for individuals per trimester. This class is a haven for women to bond with baby, release fears & tension while also building strength and stamina for the magical day. It is suitable for everyone including beginners, with a strong emphasis on birth preparation, covering breathing techniques, birth positions, and tools to allow birth to empower you. 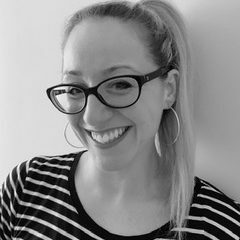 Sophie is passionate about pregnancy, birth and motherhood, she is a certified Pre-natal & Children’s Yoga teacher, Birth Workshop facilitator and Doula. At the heart of Sophie’s class is a community of women supporting each other as they transition into the role of a mother. Sophie believes in empowerment of women, her classes are a haven where women gain knowledge about their options, where they are listened to & respected as they start their unique journey feeling physically and emotionally strong. A class for those who have never tried yoga before, or for those who wish to learn the foundations of Classical Hatha Yoga. Perfect for those who have perhaps not done exercise for a while, yet are free from any physical injuries that may hold them back. Alice has completed over 500 hours of yoga teacher training – largely with Jason Crandell (power vinyasa yoga) and Bridget Woods Kramer (anusara yoga). Her aim is for people to feel empowered and strong but in absolutely every sense of the words. You’ll find Alice sensitively balances both technique and creativity so that you come away feeling like you’ve really learnt something, but also at the same time having the opportunity to just get lost in the practice too. Expect clarity and precision, good music, heart-felt philosophy, no dogma, a little sweat, a lot of warmth. Zoe’s innovative approach to voice, sprung out of her multi-disciplinary training as a singer, actor and dancer. 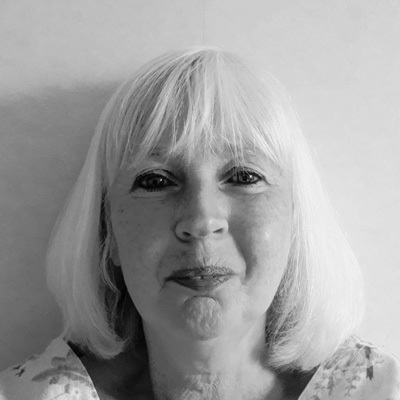 She draws on voice coaching with somatic practices, singing, yoga and meditation practices and within her classes at Yoga Healing Glasgow she address each student’s individual needs. Zoe’s pioneering work not only helps you find your true voice, but improves your confidence, your ability to listen, your communication skills, your well-being and your mental clarity. Holistic Voice focuses on softening your body and befriending your voice, through meditation, pranayama and asanas, to harness your breath, release tensions, and ground your body for engaging with sound. Holistic Voice incorporates voice coaching with somatic practices and voice training, to explore the physical resonators, the distinct vocal qualities they release and how they can contribute and help build your confidence and well-being. Gentle Hatha Evening Yoga helps to ease you slowly into a mindful, gentle practice for better comfort, movement and peace. It is the perfect class for you if you feel you have been restrained or limited in doing any kind of exercise for sometime, maybe due to age related concerns, stress, ill health, repetitive strain or injury, but through these therapeutic postures, you will begin to feel better as your health improves. Move into Friday feeling nourished from the inside out. This heart centred yoga practice connects you back to your body through a gentle blend of flowing yoga postures to heighten your inner awareness, to bring fluidity and space back into your body and mind. Release those feelings of disconnection from every cell of your body before being guided through a deeply enriching relaxation and meditation. The perfect way to awaken your mind and body, and to energise you from the inside out. Energising pranayama (breath-work) to clear your mind and open your lungs to allow you to move fully through flowing yoga sequences to clear stagnation and stiffness in your body, allowing you to feel refreshed and invigorated for your day ahead. 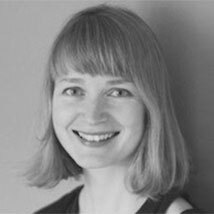 I’ve been teaching Feldenkrais classes since 2011 and am a qualified and UK Guild certified practitioner. My background is in classical music; I’ve always been fascinated by the connection between movement and creativity. I work with all sorts of people, in both groups and individually: from performers to engineers, and people with cerebral palsy and other neurological conditions. A great way to keep yourself feeling well oiled. calming down a stressed nervous system, helping with niggling pains, and generally allowing you to feel more grounded. Each class lasts an hour, and uses slow movements with focused attention to bring about changes to the way you habitually move. You can tailor your participation in each class to your own needs and classes are for everyone. 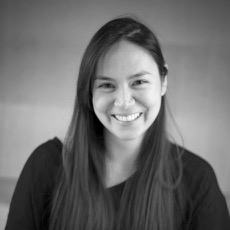 Melissa’s background in dance and psychology bring a sense of fun and depth to her yoga practice. She graduated as a Yoga Teacher in Rishikesh, India in 2010 and has continued to travel, work and study around the World as a teacher, student and vegetarian chef. Her focus is on a gentle, nourishing practice that enables her students to tune into their own bodies and work at their own pace. A combination of gentle flowing sequences with restorative poses to restore body, mind and spirit. Suitable for all levels and abilities, including beginners. There will be variation and adaptation of postures to allow students to work at their own pace. 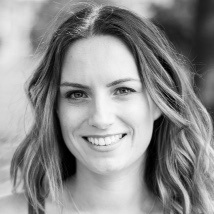 Claire’s pioneering work in Clinical Psychology, Yoga and Stress-Management, supports many students and clients in understanding the connection of mind-body actions in their lives. 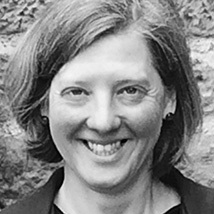 Claire’s dedicated teaching, counselling and mentoring brings a truly integrated approach, giving her work a voice as a columnist and author, whilst continuing to support students through workshops and 1-2-1 yoga at Yoga Healing Glasgow supporting them in improving their lives. The perfect start to the weekend. Suitable for All Levels, including Beginners. A fusion of flowing and standing sequences to revitalise your body and build strength and flexibility, and a combination of breath-work, restorative postures, relaxation and meditation to help you connect to your energy centres – chakras – bringing balance, alignment and well-being to your whole body. Drop-in classes require no pre-booking. Just arrive and buzz the studio 5-10 minutes prior to class and your teacher will meet you at reception downstairs. Please leave your shoes at the studio door and await quietly for class to begin. If it’s your first visit, please let your teacher know, and they will show you around and go through your student registration with you. This class also has the option to pre-book to ensure you get your space. When you book online a class this guarantees you get a space. All you need to do is become a Yoga Healing Glasgow Member HERE and follow the easy instructions. All your details will be confidential and will not be shared with any third party. Once a member pre-booking is easy, just follow the instructions from the booking page. When you become a member you have exclusive rates that you can buy, such as a block of 10 or 20 classes. This gives you added cost value per class and quicker booking. Classes that are part of the loyalty scheme are all under the drop-in or pre-book section. Drop-in classes require no pre-booking. Just arrive and buzz the studio 5-10 minutes prior to class and your teacher will meet you at reception downstairs. Please leave your shoes at the studio door and await quietly for class to begin. If it’s your first visit, please let your teacher know, and they will show you around and go through your student registration with you. Open to pregnant mums-to-be after they are into their 2nd trimester of pregnancy and have had the thumbs up from their doctor or midwife after their first scan. New mums can begin approximately 6 weeks after natural childbirth, when they have received a medical thumbs up from their post baby health check. If they have had a c-section, they will need to await a full medical thumbs up prior to joining, which maybe longer than 6 weeks. Bring baby along and meet new mums at Kerry’s relaxed Mum and Baby class. Stretch, strengthen and realign your whole body from pregnancy, labour and subsequent baby carrying and baby feeding. Classes are baby led, with plenty of quiet spaces for feeding if needed and fun exercises with your baby. An easy-going, nurturing class, getting you back out and into the community within a baby friendly scene. Nurture your body and mind, through gentle yoga postures, and yogic breathing techniques to improve your strength and stamina throughout each trimester. Week upon week learn how yoga can help you and your growing baby make the transition from pregnancy, through labour and into motherhood in the most relaxed way possible. 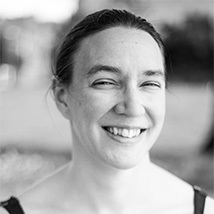 Heather brings a wealth of knowledge and experience to her pregnancy classes at Yoga Healing Glasgow on Sundays, and has extensive training in both perinatal and postnatal pregnancy yoga. From experience she knows exactly what it’s like to be a beginner coming to a pregnancy class through to an experienced practitioner. 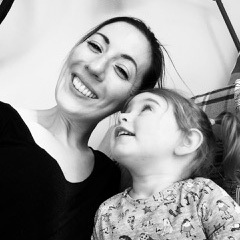 Heather not only creates a warm, friendly and enriching atmosphere in her classes but gives expert assistance, helping hundreds of mums through their journey of motherhood for the first time, and for some of our students now second and third time around. Alison began a daily yoga practice of asana, paranayama and meditation many years ago after joining a weekly class at Yoga Healing Glasgow. It changed her life. Alison not only gained a strength and flexibility in her body she’d never experienced before, but also a shift in her mind, and it’s stillness and balance. It was key for Alison in developing her Monday class to not only share yoga postures with students, but also to teach the powerful, combining trilogy of yoga asana (postures) pranayama and meditation. 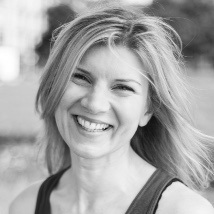 Kerry brings an holistic approach to her pilates classes at Yoga Healing Glasgow. Students not only leave with a better core, but with more zen. Passionate that Pilates is for absolutely everyone, Kerry is trained to YMCA CYQ level 3, Ante/Post Natal and Modification for Rehabilitation. This allows beginners to join Monday class at any point, regulars to feel challenged week upon week, and pregnant/post baby students and those going through rehabilitation to join too. A blend of strength and flexibility training to improve posture, core strength and the condition of the whole body. Focusing on controlled, repetitive exercises that are done at your own pace and to your own level, so that you can build upon the sequences, week upon week. You can come along solely to Pranayama and Meditation class or you can stay on after yoga and experience how it deepens and enhances your moving practice. Your body and mind are open and ready to take it to the next level! Pranayama draws your attention inwards, working powerfully on the energy within. Meditation is like mental yoga to help relax and stretch your mind muscle as well as aid your spiritual evolution. Great for reducing stress and clearing your head! The perfect hug of a class, to rejuvenate body, mind and soul. Each class focuses on breath, mindfulness and slow, gentle yoga postures to restore your body and mind from tiredness, over work, aches, pains, anxieties and deprivation. A Hatha Yoga class that changes with the Seasons, using a different emphasis on the Yoga postures as the year passes to tune you in to each Season, giving you the best possible energy for that time of year. Classical Yoga postures are used to activate the same meridians (energy lines in the body) as used in Tai Chi, Acupuncture and other Traditional Chinese Medicine practices, boosting your immune system and leaving you feeling energised, strong, flexible, balanced, calm and relaxed. Join our 6 week course Beginners course and be immersed in the foundations of Classical Hatha Yoga. Learn about the yogic breath, foundation postures and their benefits, week upon week. Enrich your life and feel the benefits from your very first week of what yoga brings. Flow seamlessly through Classical Hatha Yoga sequences to develop your mental and physical strength, flexibility and vitality. Build on postures you already know to further develop your yoga practice, helping you to feel even stronger, clearer and more energised. Anna brings her Wednesday classes to life, season by season, working with the Classical Hatha Yoga and Chinese Medicine tradition. Her enthusiasm and zest for seasonal living is both enlightening and transformative. She guides her students through education, mindfulness, movement and meditation each week, and invites students to learn more at her Sunday workshops that run each season. 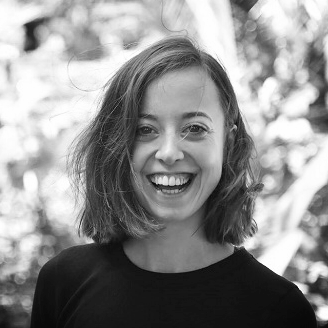 Her soft, meditative voice helps students to move quickly into the yoga vibe, leaving her classes feeling not only energised, but centred and restored. Anthea’s roots are in Body Work and Massage. In her 25 year career she has helped many people find what works for them by drawing upon her yoga, anatomy and physiology training. 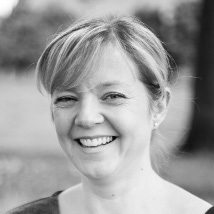 Anthea has helped many students find ease and comfort in their bodies by prescribing the right postures, breathing exercises and meditation techniques for their individual needs, and by creating transformational and inspirational classes for beginners, intermediate and all level students. For every level. Open to anyone looking for complete rest, rehabilitation and restoration. Maybe you have had an emotional or physical set back, too much time away from exercise or are looking for a slower class to begin with, to heal physical trauma, stress or anxiety first and foremost. A class for those who have never tried yoga before, or who wish to learn the foundations of Classical Hatha Yoga level postures and their key benefits. A class for those who have been practising yoga for at least one year and who can flow with relative ease through key postures, such as sun salutation, warrior, standing balance and shoulder stand. A class for a mixed level of student who is relatively fit and healthy. Some students may have never tried yoga before and pick this class to challenge themselves and some enjoy the level and pace of the class and have come for years.